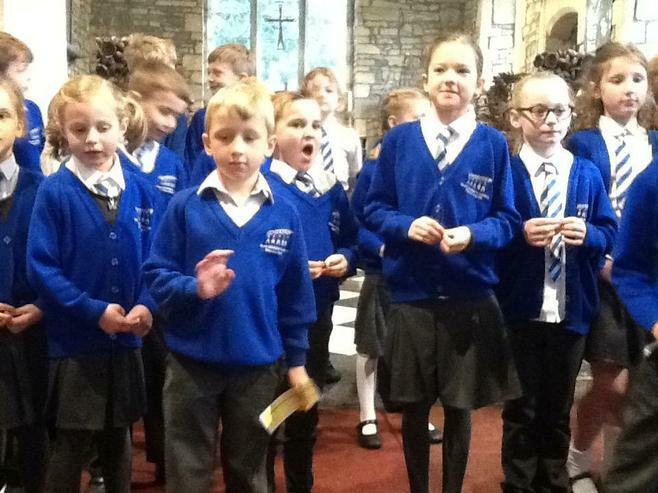 The whole school braved the drizzle to walk to St. Gregory Church this morning. 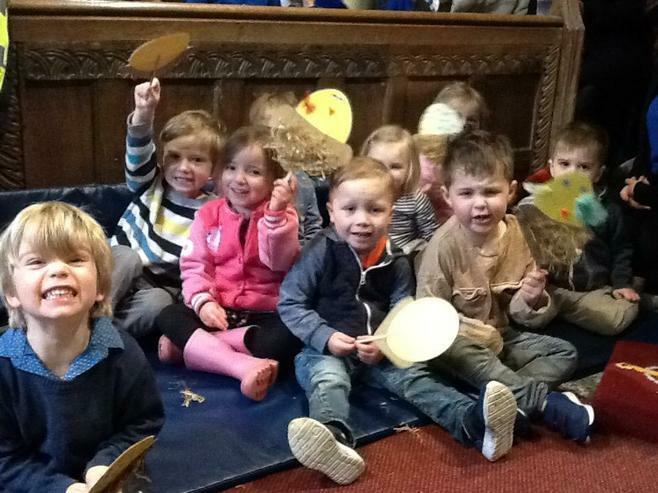 This year, we welcomed our youngest children from Rainbow Woods Pre-School who performed 'Chick Chick Chicken' (and sat beautifully!). 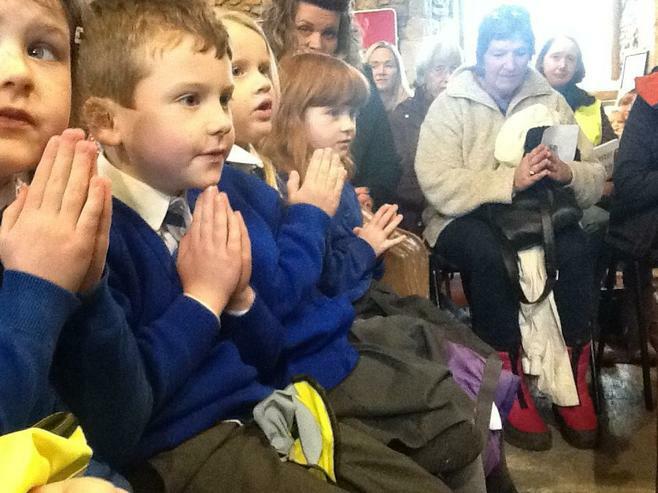 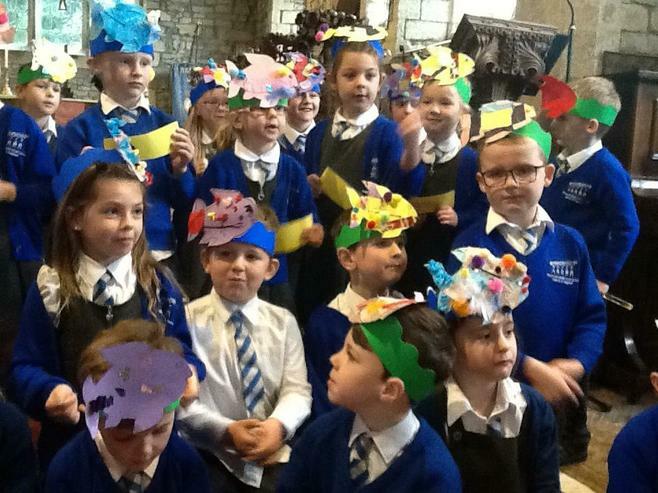 Each class contributed a part to the Easter Story, starting with Reception Class singing about Palm Sunday, Year 2/3 doing readings about the Last Supper, Year 4 performing the Crucifixion in the style of a news broadcast, Year 3 doing a dramatic interpretation of the Resurrection and Year 1 doing a performance of the breakfast with the disciples. 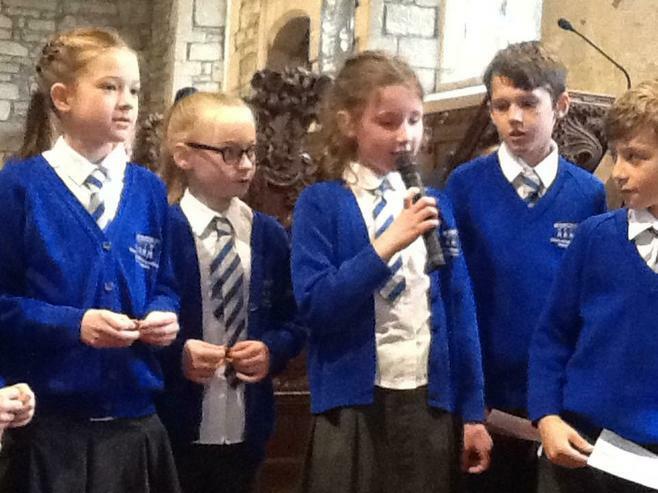 This year, we had an extra special and joyful performance of 'Oh Happy Day' by the school choir. 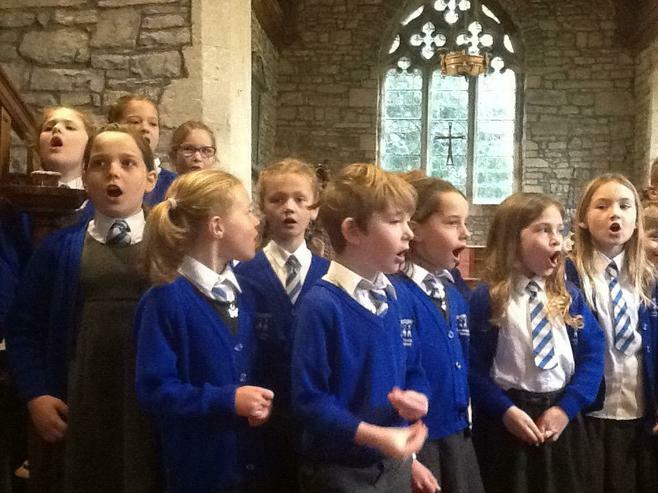 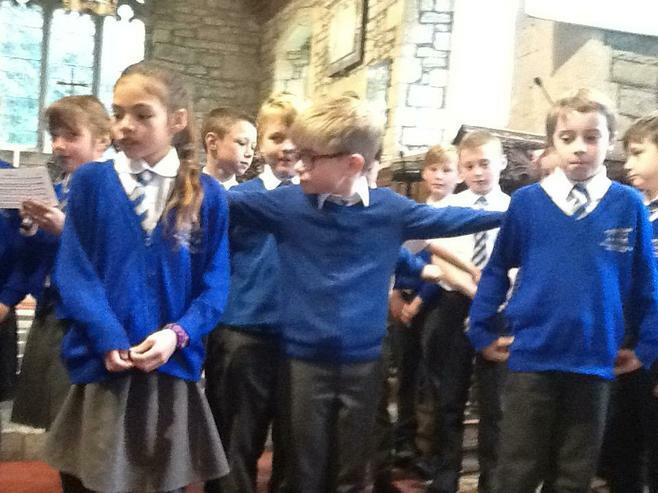 We were very proud of the children's sensible behaviour in the church and their performances!